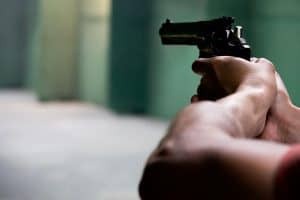 Armed robbery charges are an extremely serious offence if you have been charged with armed robbery, you need to contact the criminal lawyers at George Sten & Co for legal advice. Engaging an experienced criminal lawyer can make or break your case At George Sten & Co, we know the law inside out and back to front. With over 50 years experience in criminal law, we truly are experts who will give you the best chance at defending your case. Most people assume that armed robbery only takes place at service stations, banks and casinos, but actually it is far more prevalent in the public and on the streets. If you have been charged with armed robbery, contact George Sten & Co on (02) 9261 8640 or email us to chat with one of our specialised solicitors. What is the offence of armed robbery? An offensive weapon includes any object used to threaten someone such as a knife or a baseball bat. Section 97(2) of the act criminalises robbery with a dangerous weapon stating that a person if guilty of an aggravated offence if they perform the robbery with a dangerous weapon. The maximum term of imprisonment for this offence is 25 years. A dangerous weapon includes a firearm, spear gun or prohibited weapon. Took property from the person. Armed robbery is a strictly indictable offence, which means that it will be heard in the District Court or Supreme Court. As stated earlier, the offence of armed robbery carries heavy penalties of up to 20 years imprisonment. Both these facts demonstrate the seriousness of the offence and the need for specialised criminal law advice. The Criminal Lawyers at George Sten & Co have over 50 years experience and are more than capable of taking on your case. If you have been charged with or are being investigated for armed robbery, contact George Sten & Co for expert legal advice. To improve your prospects of success, call us now on 02) 9261 8640. If it is after business hours, email us or contact our emergency 24 hour line on 0412 423 569.